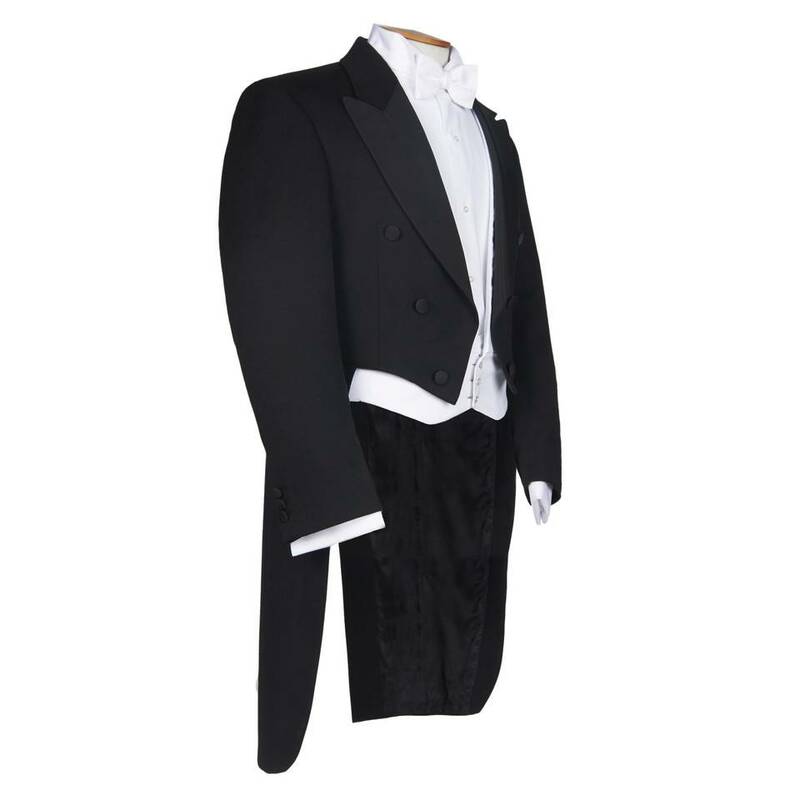 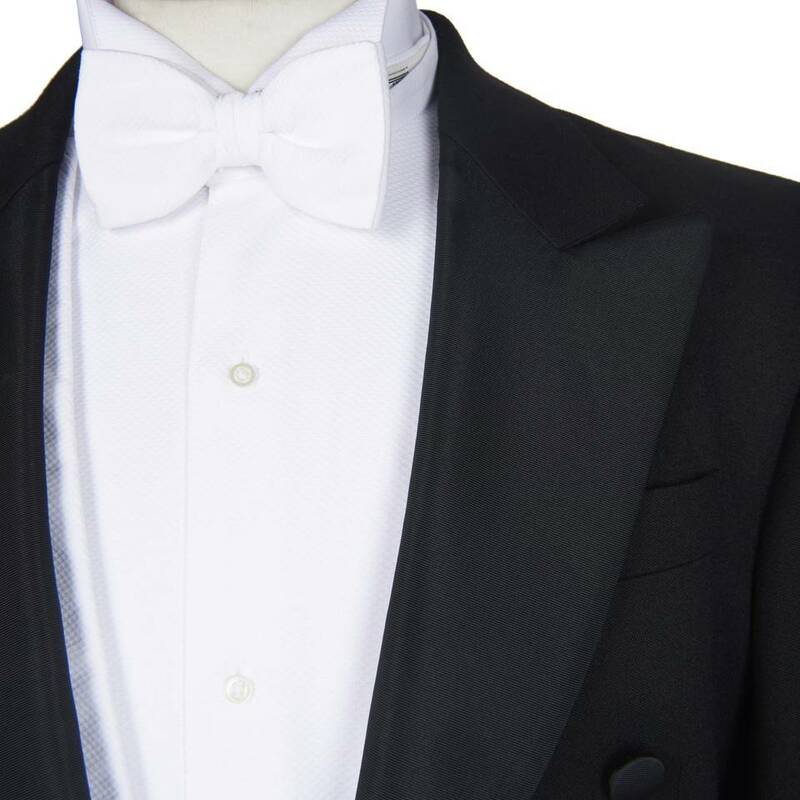 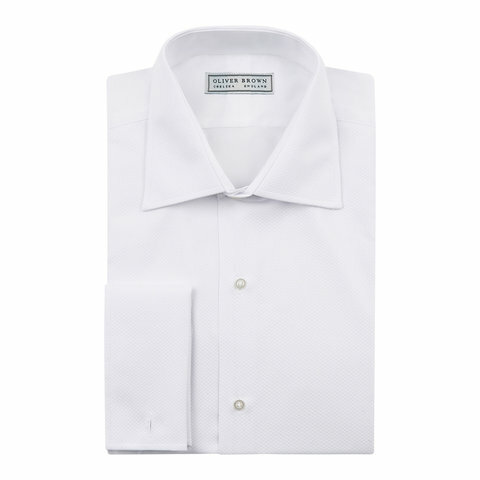 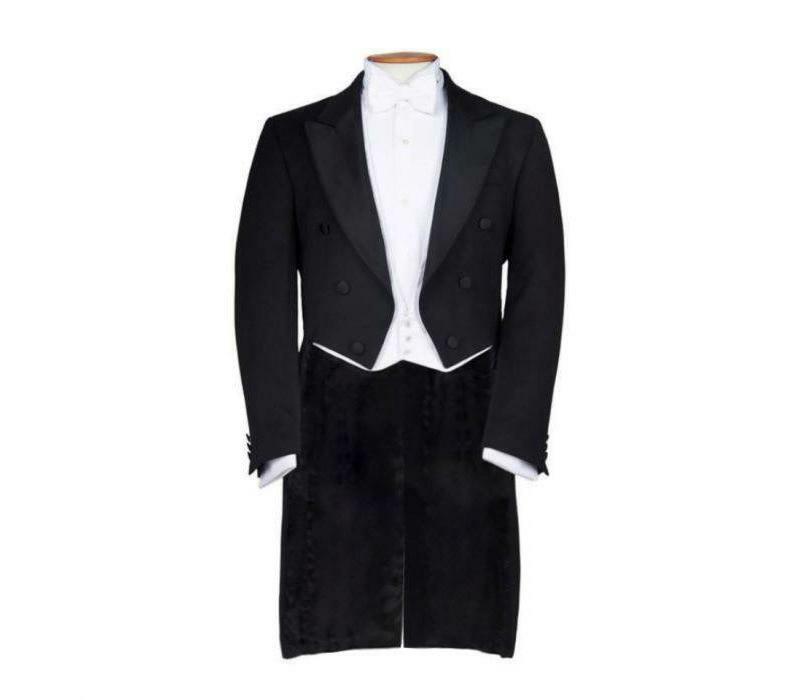 English Regency dandy and icon, Beau Brummell, is credited for conceiving white tie dress. 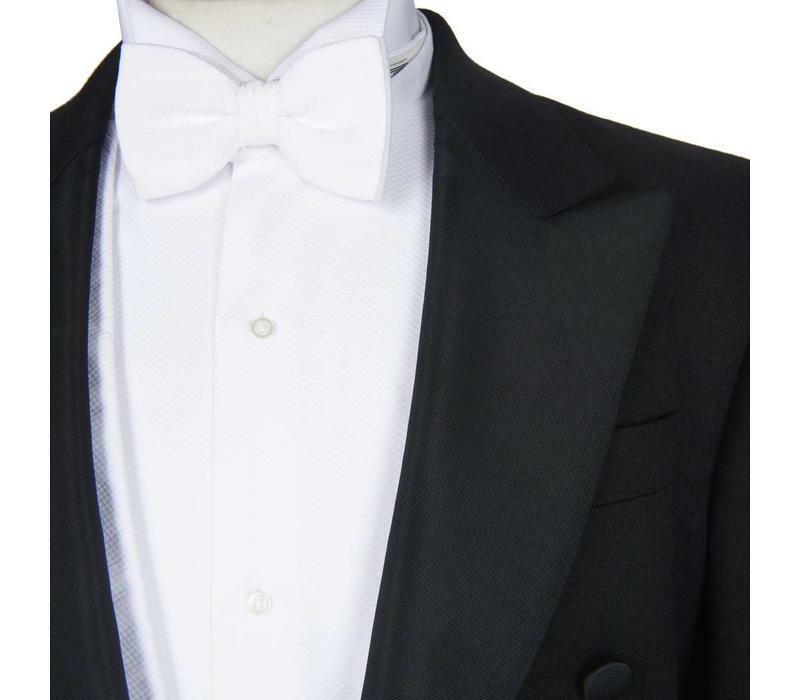 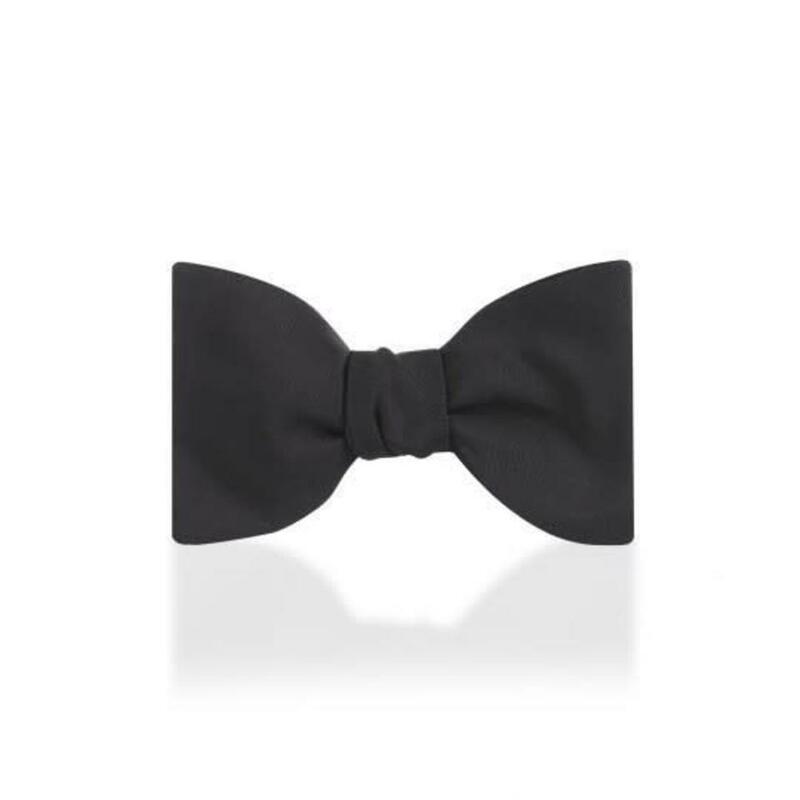 Today this most formal and exacting of dress codes is reserved for ceremonial occasions, formal balls and formal evening weddings. 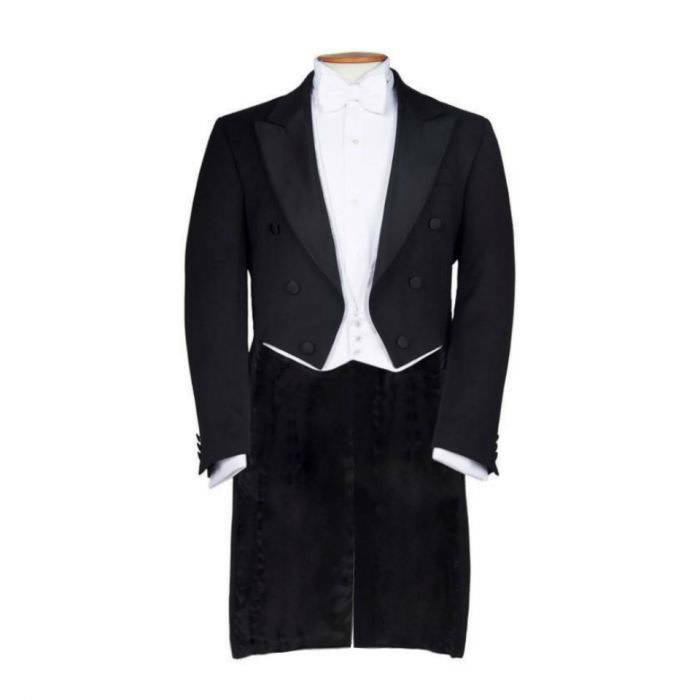 These elegant white tie tails are cut from 100% wool worsted barathea sourced from a mill in Huddersfield, renowned for its long tradition in this cloth. 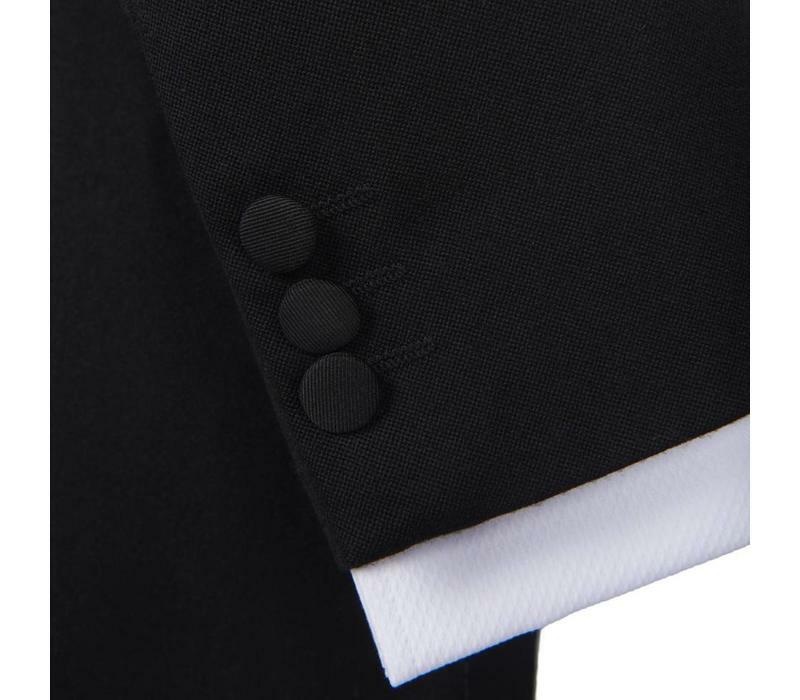 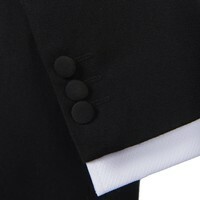 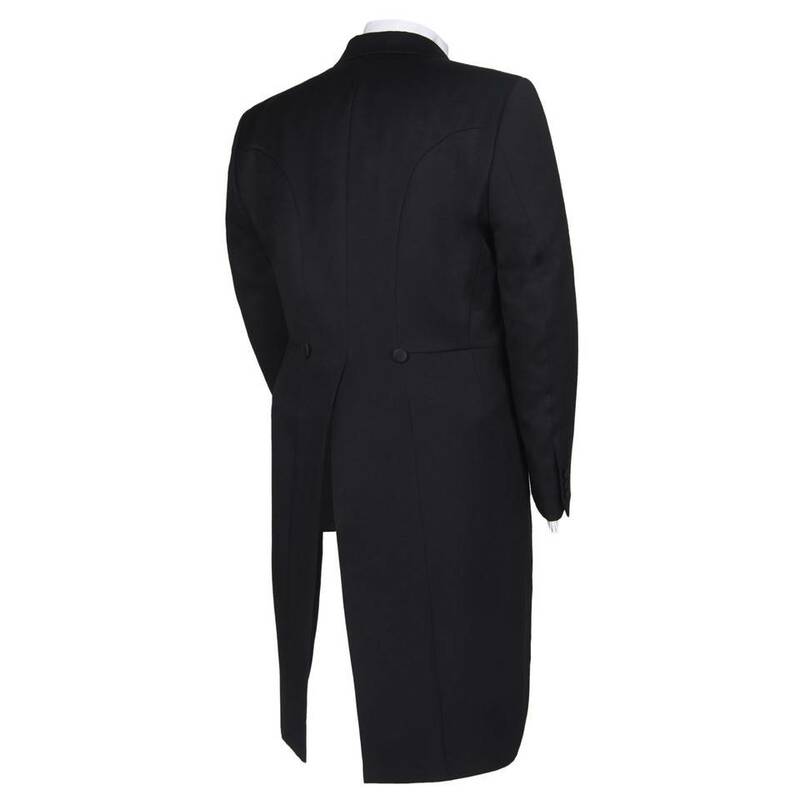 Available in regular and long fittings, the tails are finished with a pure silk grosgrain peak lapel and matching buttons. Most of our ex-rental wear have only been worn on 2/3 occasions. 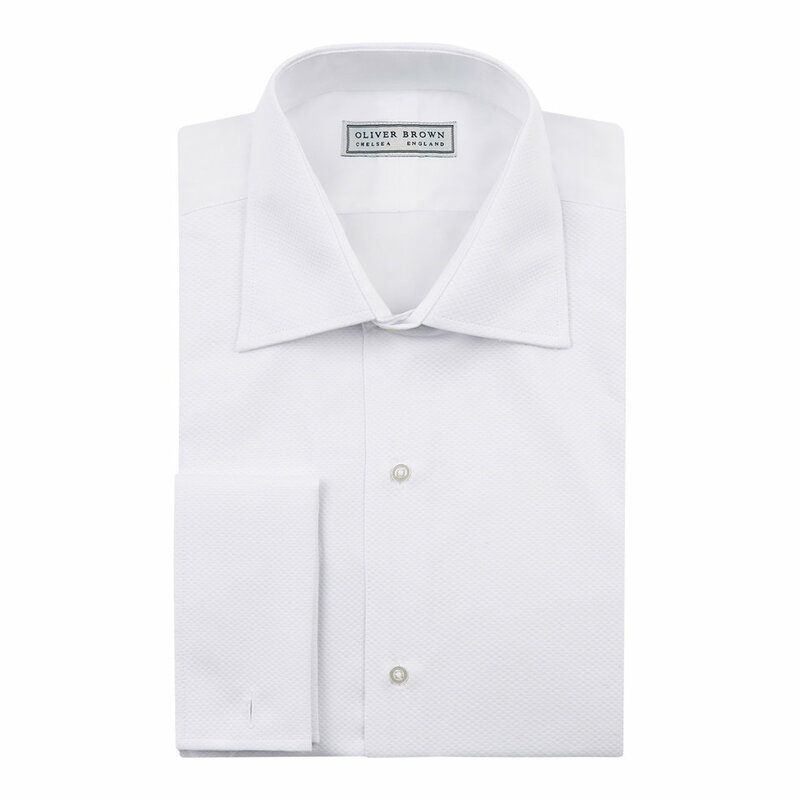 Sizes are subject to availability. Short and Long fittings may be available upon request. 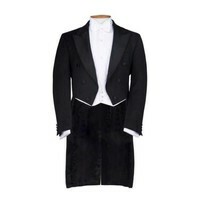 Wear together with; Dress Shirt, Marcella Waistcoat, Backless Marcella Waistcoat and Bow Tie, Self Tied. 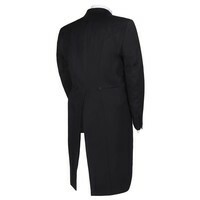 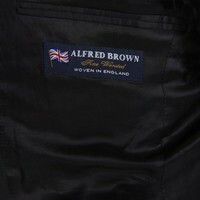 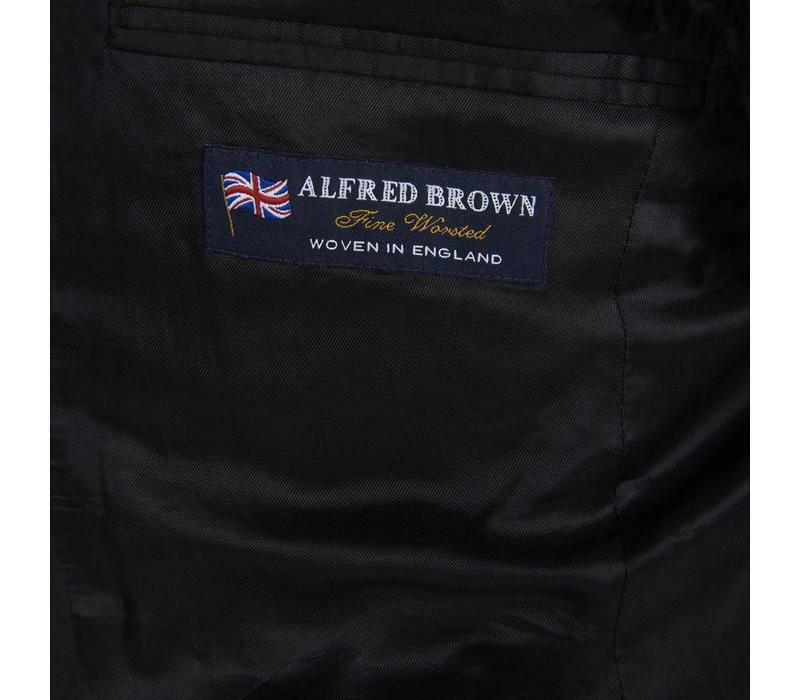 Oliver Brown jackets have a classic-fitted cut; they are tailored with structured shoulders. 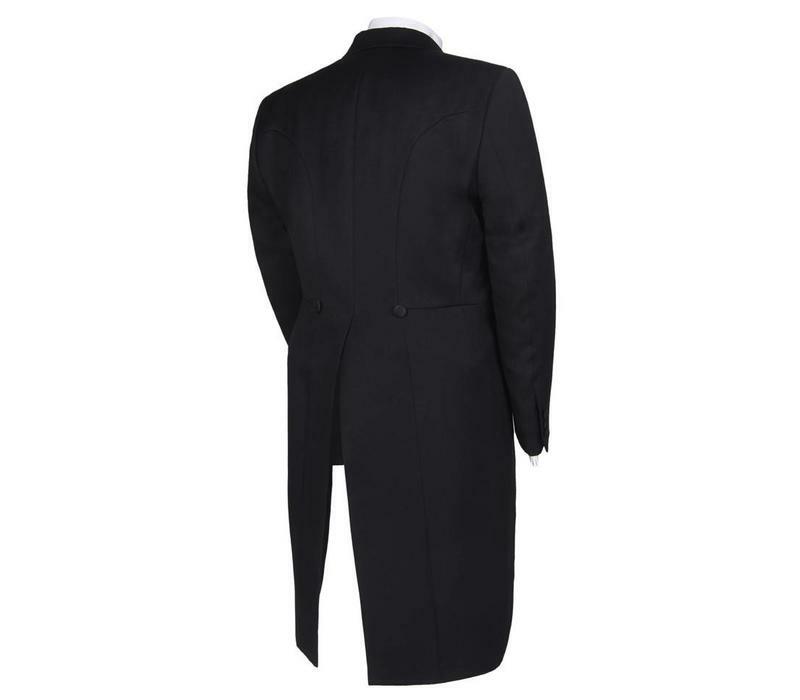 Jackets fit true to size.